Hello, I am Dedee Bowden and I am the P.E. paraprofessional. I graduated from Georgia State with a BBA in accounting. I worked many years in accounting and left my career to stay home with my children. 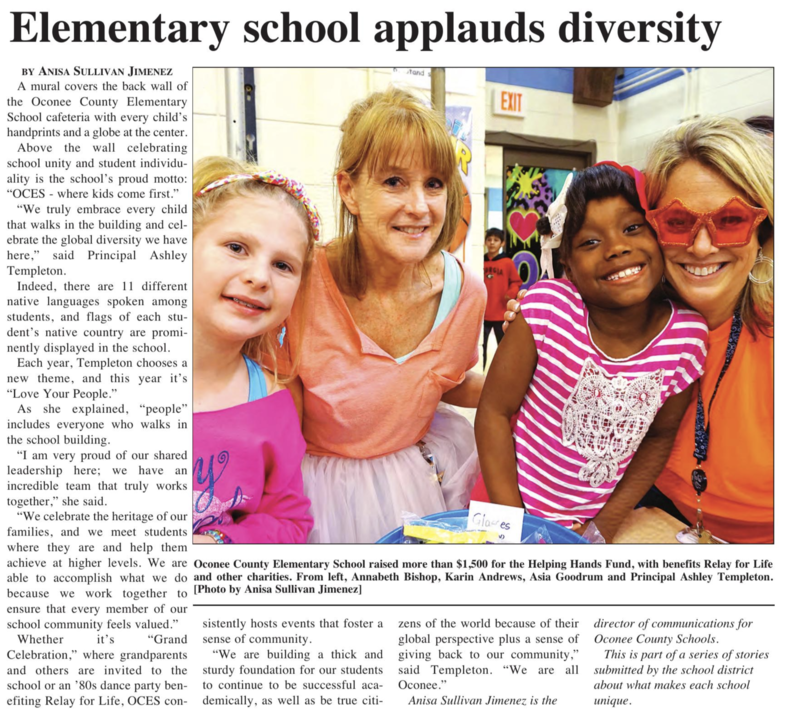 I am new to OCES this year but worked previously at OCES as a classroom parapro for four years. I'm very passionate about being active and living a healthy lifestyle. I love running and have completed several 1/2 marathons. I throughly enjoy working with children and I'm very excited to be back at OCES working in physical education! I am married with four children. Two have gone K-12 through the Oconee School System and two are at Oconee High School.